The growth of the global market for Erythritol depends on the expansion of the food and beverages sector across various regional longitudes. Erythritol is essentially a sweetener that appears similar to sugar but contains almost negligible amount of calories. In recent times, the demand for Erythritol has been touching new heights on account of the rising awareness of the masses about the benefits of Erythritol. Erythritol obtained from the fermentation of or hydrogenation of several type of carbohydrates. The sweetness level of Erythritol is greater than that of sucrose, and the former is also believed to provide several medical benefits. The digestive tolerance of individuals who consume Erythritol is enhanced which in turn leads to a better circulation of blood in the body, Other polyols are not as efficient as Erythritol in accelerating the digestive functions of the body. Erythritol has been approved for consumption by the Food and Drug Administration (FDA) department in the US. Furthermore, it has also garnered attention from the food and beverages industry because of its zero calorie advantage. Several people who are conscious of their health or the ones suffering from diabetes willingly consume Erythritol as a substitute for sugar. The global market for Erythritol can be segmented based on the following parameters: application and region. Each of these segments contribute towards the overall functioning of the global market for Erythritol. The report on the global market for Erythritol is a succinct representation of the various dynamics and forces operating in the global market for Erythritol. 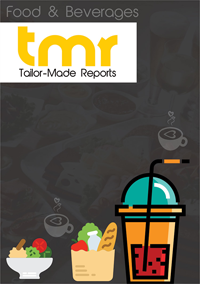 Furthermore, the amount of revenues generated by the global Erythritol market over the past decade and the projected revenue over the forthcoming years has been included in the report. The regional dynamics of the market coupled with the names of key market players have also been mentioned in the report. The market for Erythritol has been expanding on account of the fructuous efforts of the food and beverages industry to serve quality products to the consumers. As the customers of food products become aware about the various parameters such as calorie content, fat percentage, and protein level of a given product, the demand for Erythritol is expected to increase by leaps and bounds. This is because the consumer prefer food with low calories, and Erythritol helps in maintaining that standards in food and beverages. The growth of confectioneries that use Erythritol as a sweetener for special sweets has also been a major contributor to the growth of the global market. The rising incidence of diabetes across the globe has also become a key driver of demand within the global market for Erythritol. The food and beverages industry in the US and Canada has been swift to adopt products that can help in widening the product portfolio and improving the healthiness quotient of products. Owing to this reason, the demand for Erythritol in North America has escalated at a robust rate over the past few years. The high number of people suffering from diabetes in the US has also been a driver of demand within the global Erythritol market. Some of the key players in the global Erythritol market are JUNGBUNZLAUER SUISSE AG, Shandong Sanyuan Biotechnology Co., Ltd, Cargill Inc., and Foodchem International Corporation.